Arrival at Delhi and transfer to the hotel. Later proceed on a day tour to the city including visits to Red Fort (Monday will be closed), Laxmi Narayan Temple, Qutub Minar, President House, Parliament House and heart of the city- Connaught Place. Drive through the colorful countryside and reach the Mandawa. Late afternoon explore the painted havelis of the region and shop for the exquisite handcrafted items. 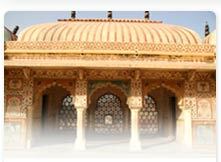 Drive to Bikaner and on arrival embark on a guided tour to the royal city. 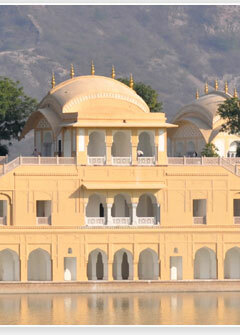 It will include visits to the camel breeding farms, Junagarh Fort, Lallgarh Palace and Fort Museum. Travel to Jaisalmer and explore the rich and beautiful palaces that shimmer against the monotony of the desert. Evening enjoy a camel ride. The day is free to explore the mystique of town to the fullest. Visit Sonar Kila, Patwon ki haveli, Saliom Singh ki haveli, Nathmal ji ki Haveli and Gadisagar Tank. 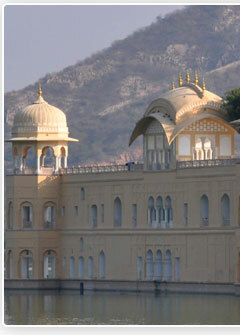 Drive to Jodhpur and on arrival enjoy a full day sight-seeing tour to the city. Explore the fascinating monuments of the city that include Mehrangarh Fort, Jaswant Thada, Umaid Bhawan and Mandore Gardens. Morning embark on a drive to Udaipur- the city of lakes. Rest of the day is free to absorb the beauty of this enchanting town on your own. Drive around the Fatehsagar Lake and experience the mystifying beauty of the lake in a unique style. 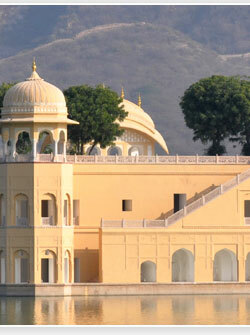 Also visit Jagdish Temple, Sahelion-Ki-Bari, City Palace, and Lake Pichola. 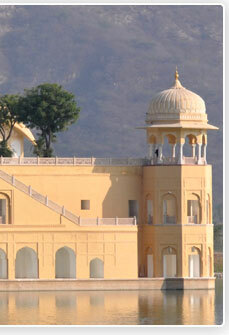 Drive to Pushkar that is reputed as one of the most sacred town for the Hindus. Stay for two nights in the tented camps and partake in various games. Full day is free to explore the colorful Pushkar fair bustling with activity during the fair. Enjoy a camel ride, indulge in tug-of-war competition, see the local people dressed in traditional attires and jugglers performing a variety of tricks and stunts. Drive to Jaipur and on arrival check in the hotel. Later in the day explore Hawa Mahal, City Palace and countless other monuments of historical importance. After breakfast drive to Amber Fort and later visit Temple of Kali and the hall of victory. Early morning leave for Agra and on arrival enjoy a sight-seeing tour of the city. It will include visits to Taj Mahal, Agra Fort and other monuments. Morning tour the city and visit Taj Mahal again. Later drive to Delhi and arrive at the international airport directly to connect to an onward flight.